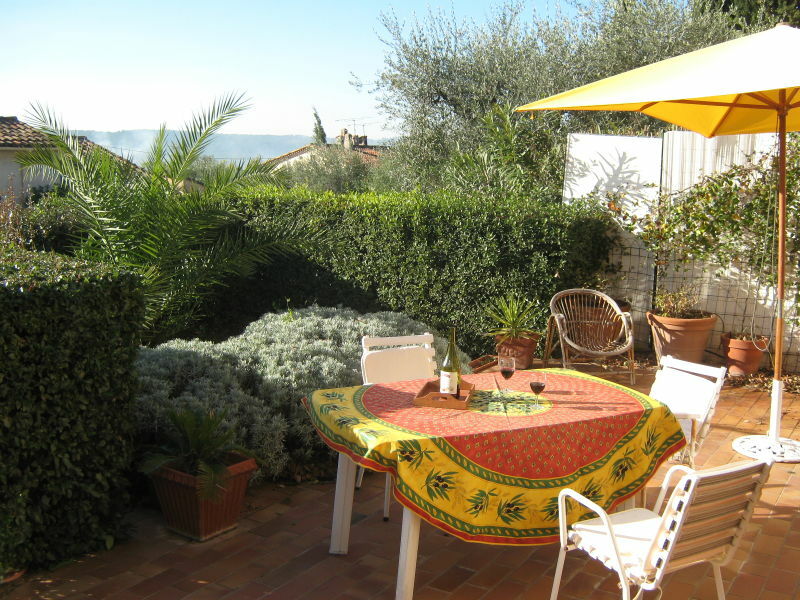 vacation house in Fayence - 10 km to the lake of St. Cassien, 30 km to the sea (Cannes). calm location. Children and pets are welcome. 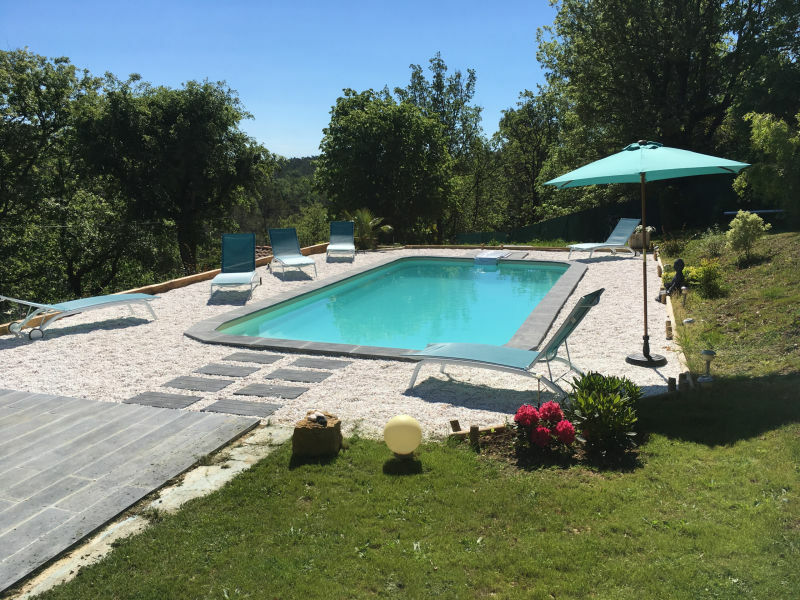 Located 2 km from Tourrettes and Fayence, modern and comfortable villa with a very nice view. 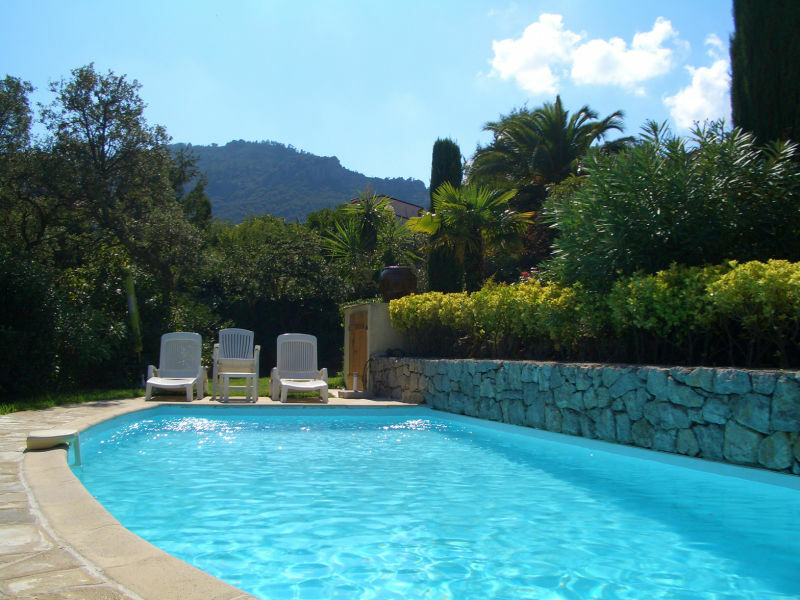 A spacious, quality villa with private pool, 500m from the village, nearby French Riviera, WIFI internet. Perfect for 1-2 families. Quiet location. 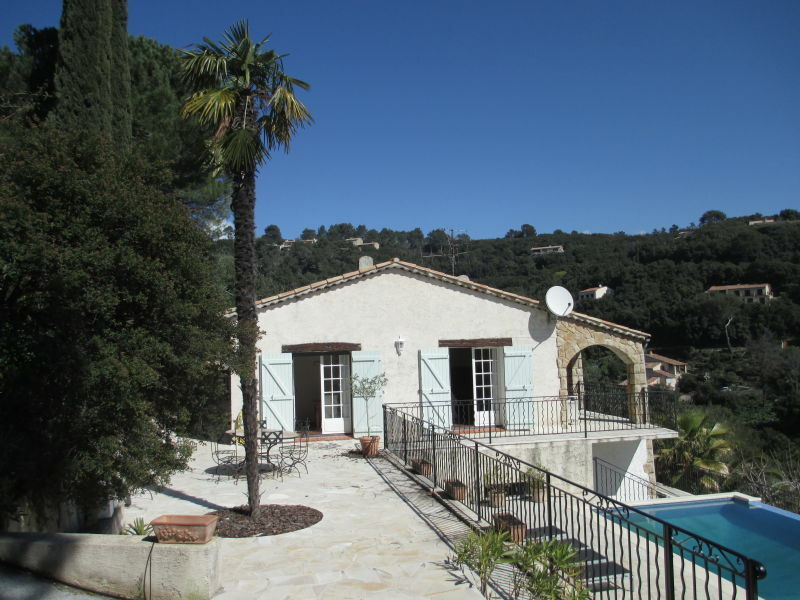 Holiday house in Fayence - 10 km to the lake of St. Cassien, 30 km to the sea (Cannes). Calm location, wonderful nature, culture and sports. 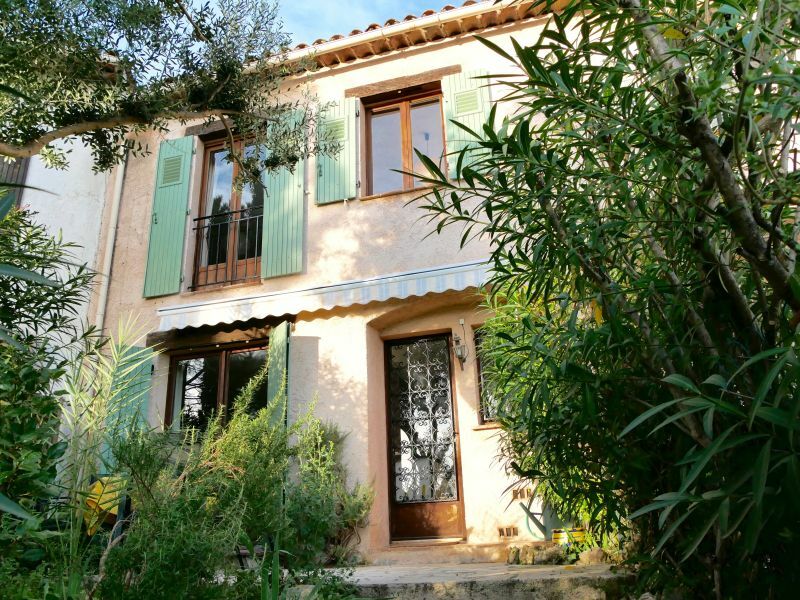 This practical and cozy home in the south of France for 6 people with private pool is available outside of Seillans in the hinterland of Cannes. 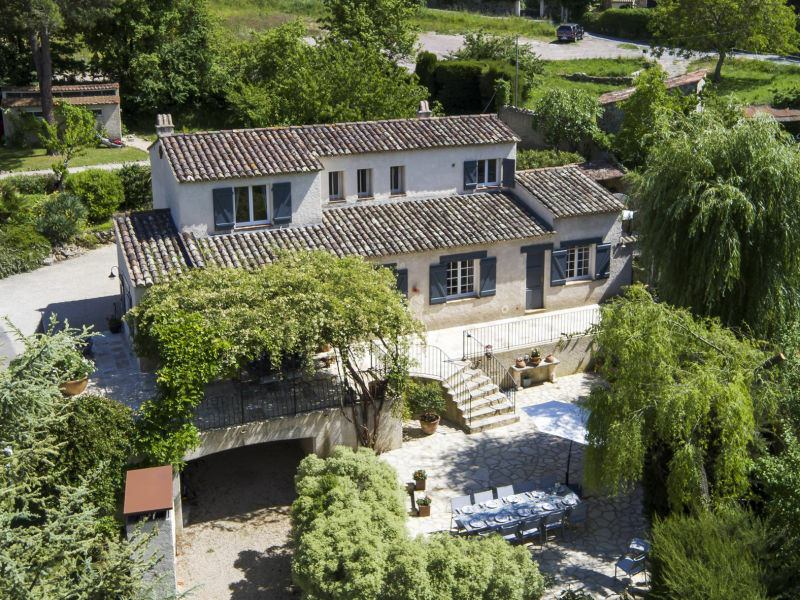 Beautiful renovated old ‘Mas’ (1810) with large pool (12x6m) & cottage with 2 studio's/rooms. Mas is located within walking distance of the village center. 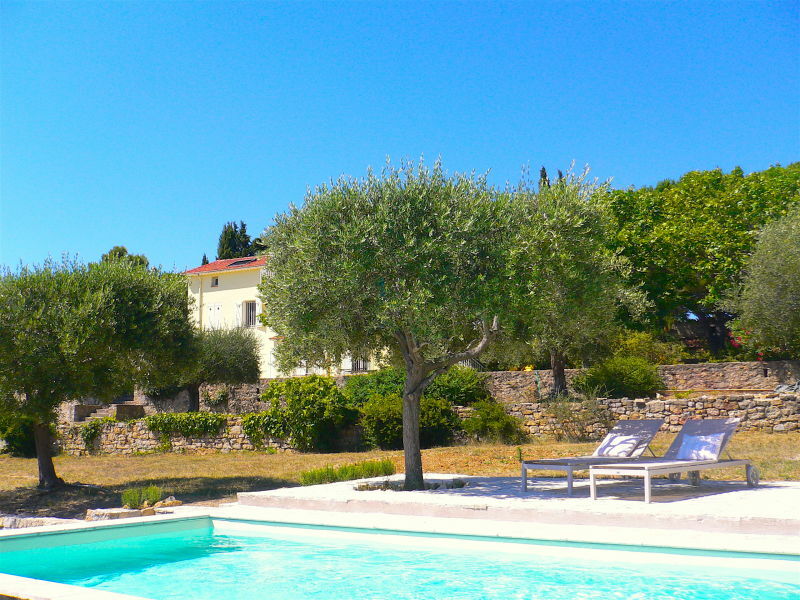 Extremely quiet situated villa with fantastic views and pool. 5 km to the Lac de St Cassien, 25 km to the sea (Cannes). 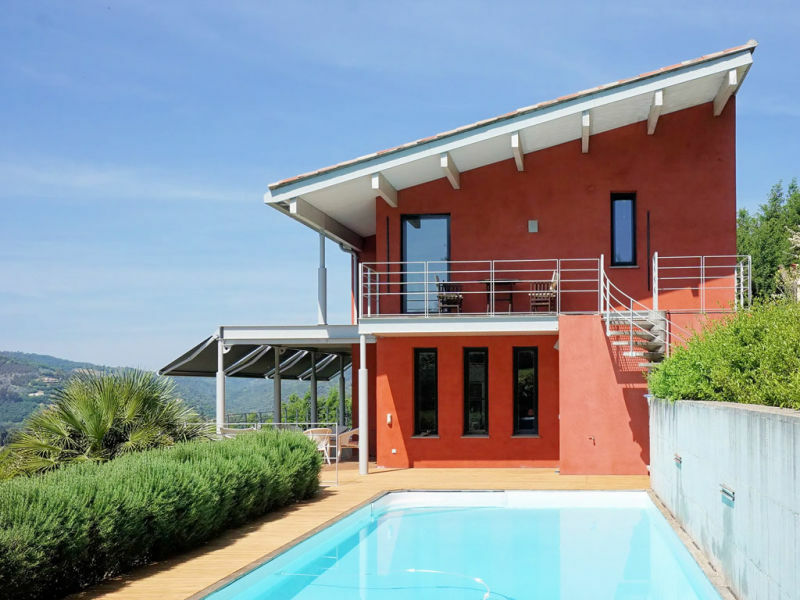 This exclusive villa for 6 people with private pool is removed from beneath the village Cabris, a stone's throw from Grasse on the Cote d'Azur. 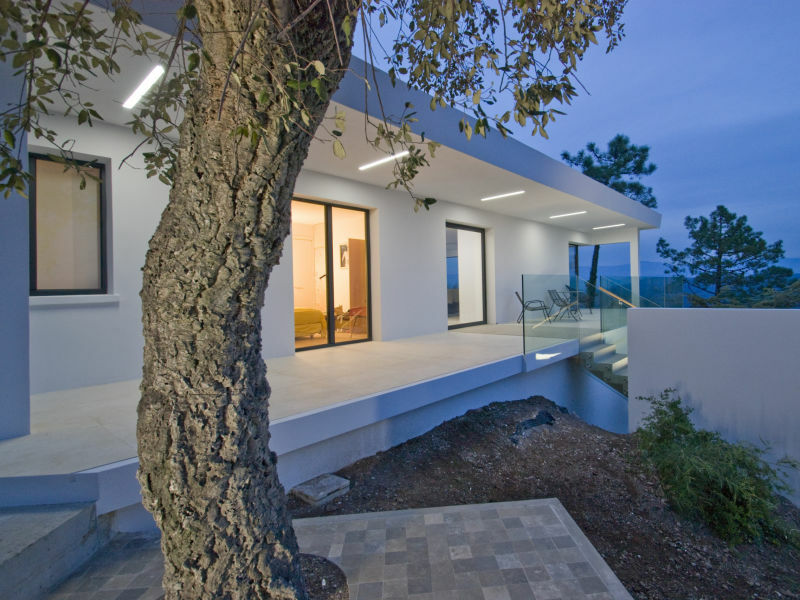 Beautiful modern villa with magnificent view over the sea and the islands of Lérins. You will enjoy spending your holiday here! 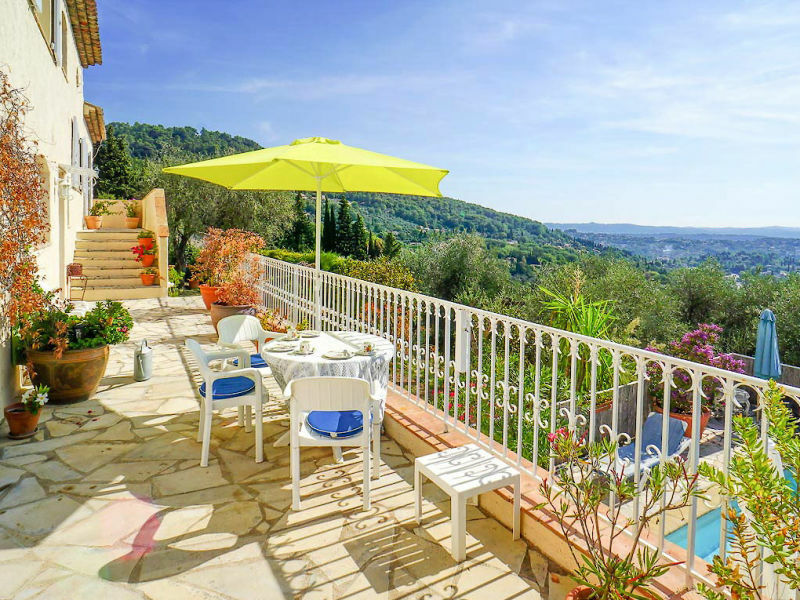 A spacious property in one of the best areas in Grasse with absolutely unbeatable views over the entire Côte d'Azur. LAST MINUTE OFFER IN HIGH SEASO: 20% REDUCTION! 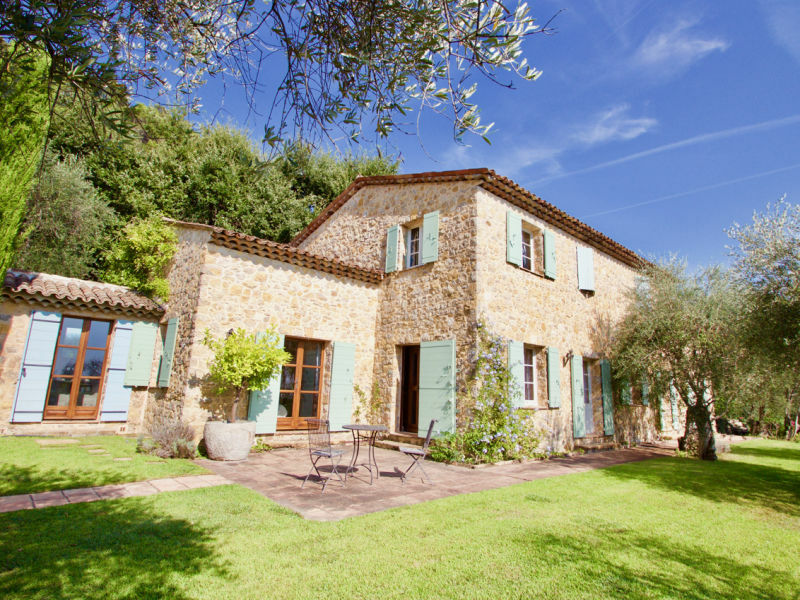 In the green area of La Bouverie you will find this beautifully situated villa with private pool which can accommodate up to 11 persons. Excellent price-quality ratio, swimming pool for exclusive use, comfort and tranquillity, 20 km from the beaches of the Côte d'Azur. Beautiful modern villa with stunning sea views and infinity pool. 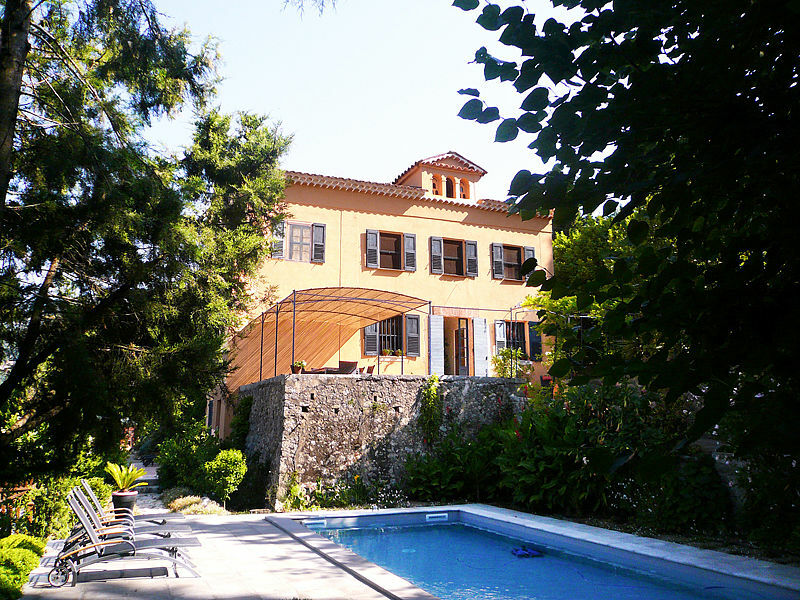 This magnificent villa with heated pool and beautiful views is not far from Grasse (800 m) and the beaches of the Côte d'Azur (20 km). 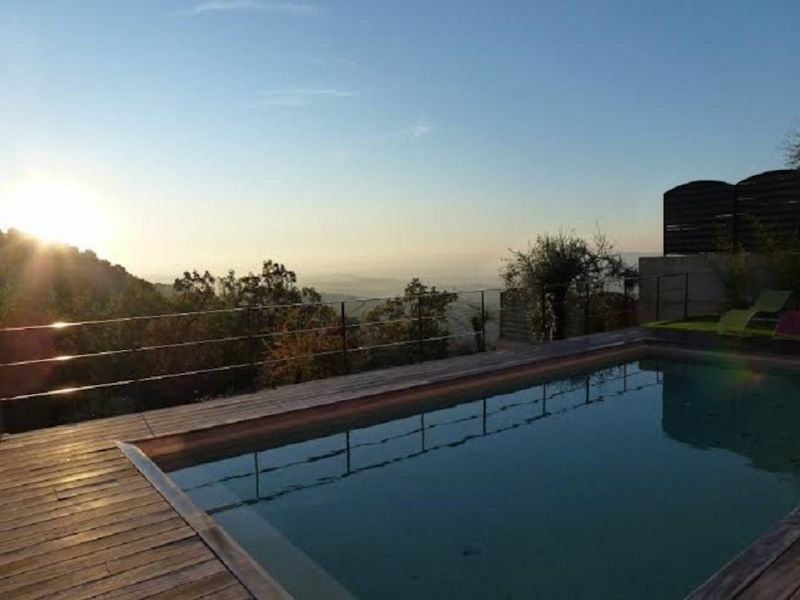 This modern architect-designed house with private pool stands at Auribeau in southern France, and from here you have a panoramic view to the sea. Comfortable holiday home with garden and pool for up to 5 guests. Magnificent view over the bay of Cannes and islands Lérins. 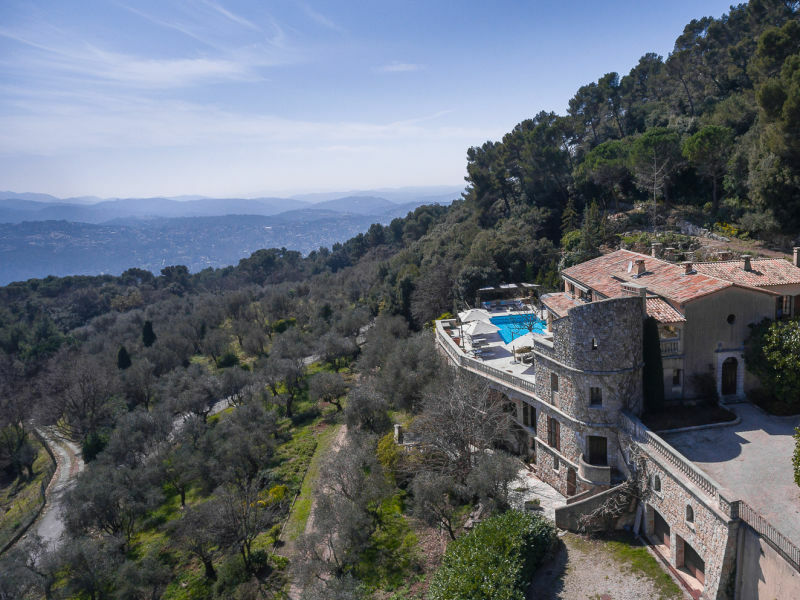 La Rivolte is a beautiful 19th century 'Belle Epoque' villa overlooking the historic Cote d'Azur town of Grasse, famed for its perfume factories, within walking distance of the town center. 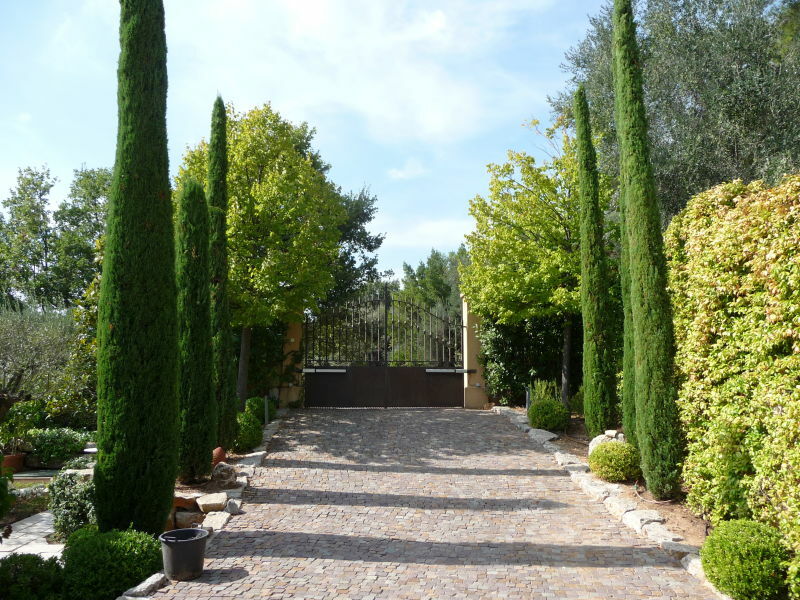 Luxury, beautifully renovated property in the hills of Grasse.